Chocolate Milk Mommies, a parenting group out of Birmingham, Ala., is working to remove the stigma surrounding breast-feeding—especially in public—in black communities. 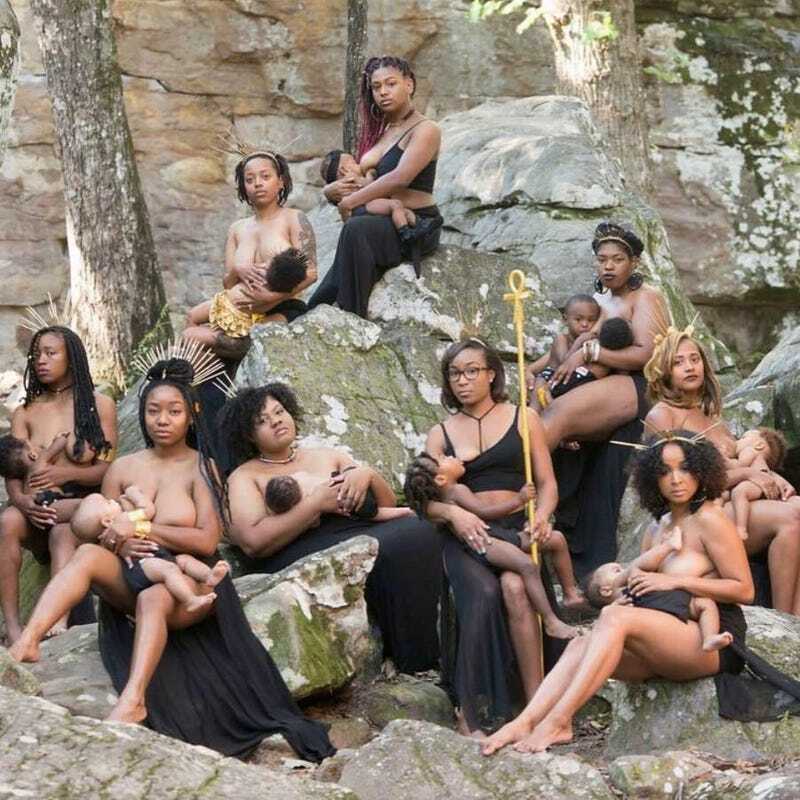 And it has done it in the most visually stunning way possible—with members deciding to pose as breast-feeding “goddesses” in a nursing photoshoot for Black Breast-Feeding Week. “To us, a goddess theme was perfect because they represent strength, poise and patience; qualities we all feel to be important when breast-feeding,” Rauslyn Adams, a member of the group, told People magazine. So the mothers got dolled up, doing each other’s hair, makeup and body art; donned crowns (because goddesses); and posed for photographer Lakisha Cohill to produce the stunning artwork that has since gone viral. “I had no idea it would go viral; I just wanted to spread a beautiful, positive message through art, because these images are so powerful and tell so many beautiful stories. Each woman represents a different chapter, including the one behind the lens,” Cohill told Yahoo! Lifestyle. Adams said that the group hopes the images will encourage more black mothers to nurse their babies, if they so desire. “It is taboo within the African-American home to breast-feed your child, let alone to do it past the age of 1,” Adams added. “Breast-feeding has been seen by some African-American women as reverting to ‘slavery days,’ when feeding a child by breast was the only option.